Josephat is a competitive and focused 37 year-old businessman. He is married and blessed with three children. 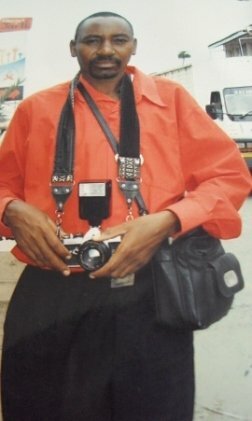 Since 1997, he has been doing photography to make life more comfortable for his family. He uses income from this trade to supplement the income he gets from supplying schools with materials. In the next 5 years, he wants to have expanded his business so that he edges closer to his dream of opening up a journalism school. He is requesting a loan of 50,000 Kenya shillings to buy a printing machine and printing papers. He is grateful to Faulu Kenya for making him financially literate.